Whilst the highly specialised nature of our expertise allows you to build whatever tour you should desire in Tanzania. below we have listed four great safari holidays blending old classic destinations, delivered in new and innovative ways, with places well off the beaten track. Fly Dar es Salaam to Mwanza and transfer to Little Okavango Camp on Lake Victoria. Depending on arrival time, it may be possible to take a bird walk around the camp area, where a breathtaking number and diversity of avian life may be seen. O/n Little O Camp (D). Wake up early for a canoe ride through the waterways of Little Okavango and out, onto the shores of Lake Victoria. Take brunch in the Island restaurant at the heart of the waterways, before returning to Little O Camp and commencing the drive to the North of Serengeti National Park via Mugumu, with a packed lunch. 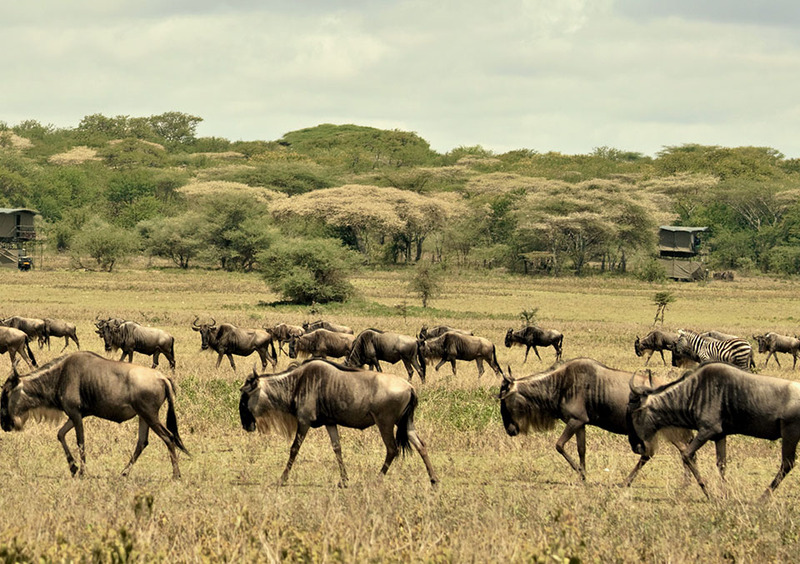 An afternoon game drive through a landscape likely filled with thousands of wildebeest, finishes at the exclusive Bush Rover Mara Camp, perfectly placed on the Mara River to witness the fabled crossings (B,PL,D). Over the next four days, you will be based at the beautiful Bush Rover Suites, in arguably the best position the Serengeti has to offer, in order to witness one of the natural world’s most spectacular events – the wildebeest crossing the Mara River. Each Bush Rover Suite looks directly onto the river at a frequently used crossing point. The experience of sitting, high on a Bush Rover balcony sofa, with thousands of animals pouring into the water in front, is a truly life-enhancing experience. Jumping into an open game drive car and heading the few hundred metres down to the river’s edge, allows us to be right in the middle of this breathtaking spectacle. The photo opportunities are incredible. The crossings are rightly at the top of many people’s list of great wildlife experiences, and as a result, most crossings witnessed by visitors to both Serengeti and the Maasai Mara in Kenya are done so in the company of many other visitors and vehicles. 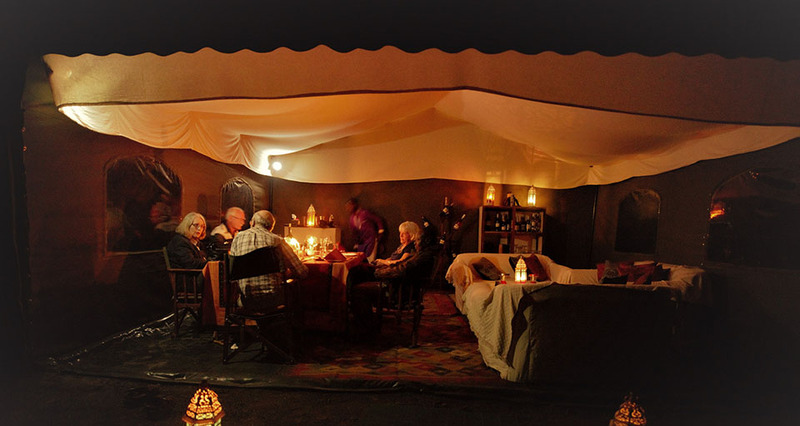 At the Bush Rover Suites, the crossings are an exclusive experience, almost never shared! Besides witnessing the wildebeest, the area teems with other wildlife, elephants regularly bathing in front of the rooms and large herds of zebra, eland and topi, wandering through the camp. Predators are never far away and lions, leopards, hyena and serval cats are very likely to be seen during your time in this incredible spot. After breakfast, drive back to Little Okavango Camp. Afternoon bird walk in the Grumeti forest. O/n at Little O Camp (B.L.D). After breakfast, drive to Mwanza for your flight to Dar es Salaam. (B). Beach extensions available to Zanzibar & Saadani.